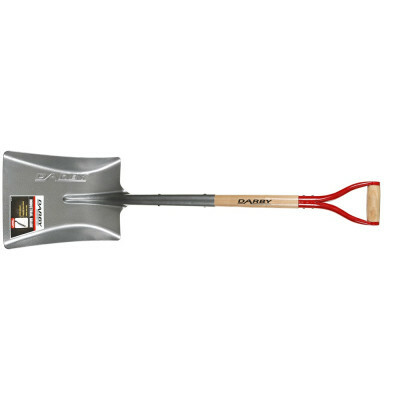 The True Temper Darby square mouth navvy shovel comes with a tempered steel blade for added durability, an extra wide head for greater capacity and complimented with an extra long socket and double rivets for greater strength. Finished off with a solid Ash timber handle and steel D grip. Extra wide head for greater capacity. Solid Ash timber handle for added strength.